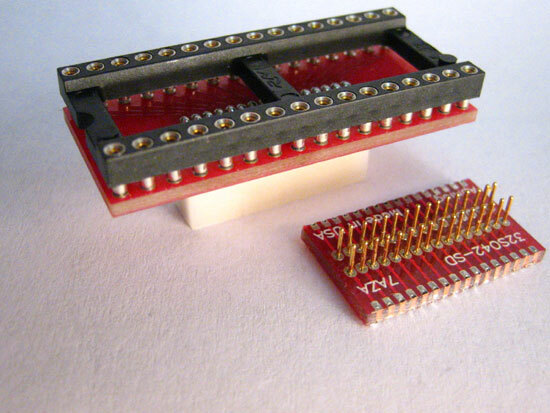 Aprilog makes & stocks IC adapters for QFP, TQFP, QFN, MLF, SOIC, SSOP, TSSOP, TSOP, VSOP, SOP, PLCC, PGA & SOT packages and stocks test sockets by Enplas, Plastronics, Sensata, Yamaichi & Tokyo Electech. Programming adapters, IC footprint chip changing adapters, and ZIF socket to PCB pads adapters. 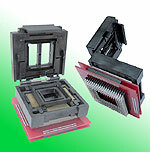 Adapters for Microchip PIC, Intel, NXP, ST, Freescale, and many more. We also build custom adapters to meet your special needs.